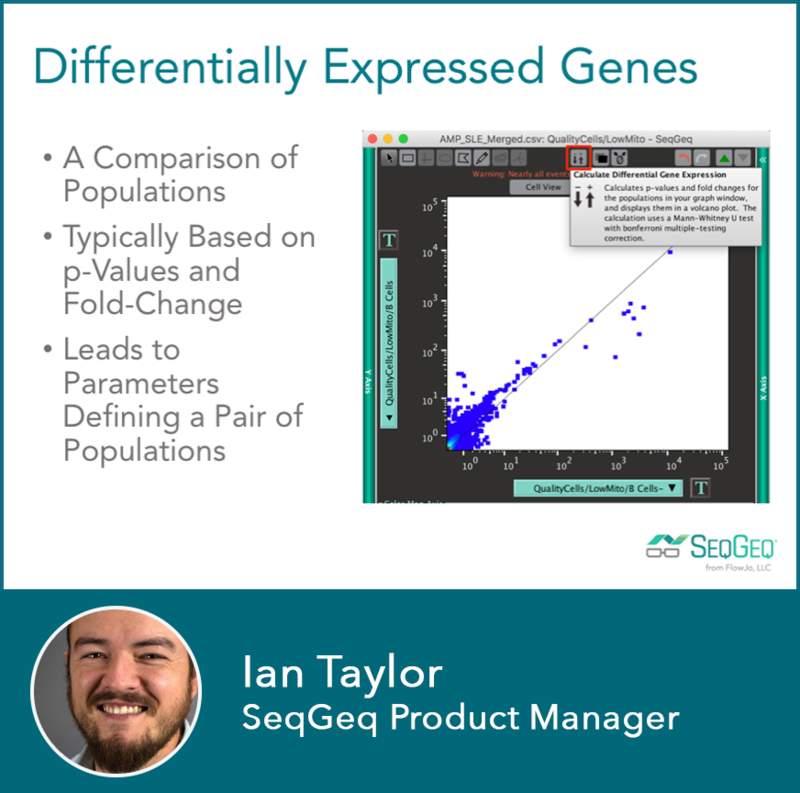 Learn how to use Dimensionality Reduction, Clustering and Hierarchial Gating, and Geneset Enrichment Analysis! Systems biology is poised to revolutionize our understanding of disease models and multi-omics studies as exemplified here are a key step along that exciting journey of discovery. Researchers producing single-cell RNA-sequencing data files will face a unique set of challenges, which the SeqGeq platform is designed to address. Here we’ll illustrate how fluorescence intensity information from flow parameters (protein information) can be merged into a single-cell RNA expression matrix (the transcriptome) and analyzed. In this presentation we’ll attempt to gain deep insight into the Accelerating Medicines Partnership’s public human kidney data from lupus patients and demonstrate how that beautiful dataset can be explored in an intuitive and thorough workflow. Download the free slides and Nature Webcast recording. CSV, TSV, TXT, TAB, MTX, or H5 (AKA HDF5 from 10X Genomics) are just some of the growing number of file formats that SeqGeq currently reads. Try SeqGeq for free with a 60 day trial.